After our adventures in the Isles of Scilly, we were off on our travels again to the Engadin valley in Switzerland for another Ötillö world series event. We entered on the basis it would give us a second chance to qualify if we hadn’t already done so (which it turns out we had). We were also told it would be beautiful and that we should do it anyway! Preparation for this race was less than ideal, especially for Izzy. She managed to pick up big holes in her arm and leg and a cold beforehand. By the time we set off, things were looking better though. It didn’t take long to start worrying again! In retrospect, it may have been the effects of altitude. I had headaches for a day or two after arriving, plus sniffles. Izzy felt her cold getting worse. 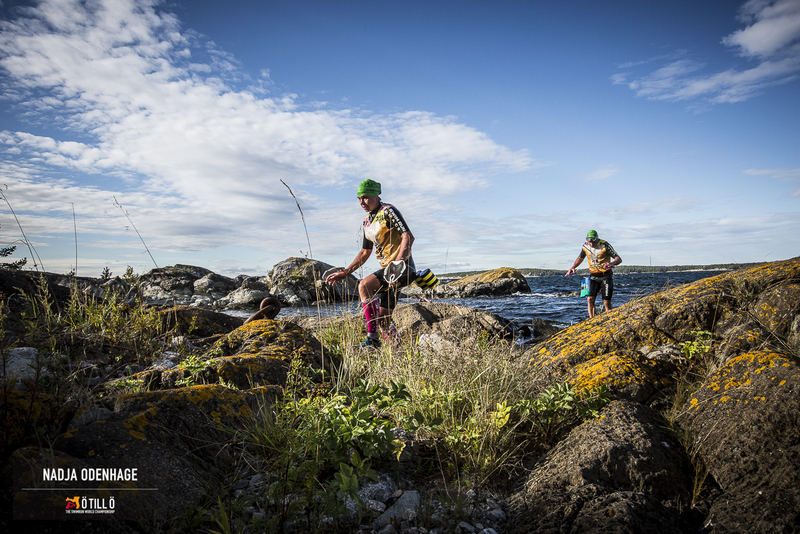 As a result we didn’t have any little practice runs or swims as planned – possibly a mistake. We did not know how it might feel. Instead we contented ourselves with viewing the race course from various angles: up on the mountain from the cable car, in the valley from the bus, and a short walk round some of the first run. Izzy contemplates the race start. Up over that ridge line somewhere. I had a race plan and a target time. I wasn’t sure how altitude would affect us, but thought the times were realistic, possibly slightly conservative. It would be enough to get us to about 5th place. If we had a good day we should go faster and maybe even challenge for podium. The morning of the race. An early start, crammed onto a bus like sardines. We left on time, like all Swiss public transport that we experienced! It was hot though, and as we waited to go into the small drop off area I was feeling claustrophobic. I headed straight for the toilet queue before it could get too long. Already too late. Blokes were going in fully zipped up in their wetsuits and coming out dressed the same, even as Michael, one of the race organisers shouted increasingly urgently to make sure we got our timing chips cleared. I was checking my watch, 4 minutes per person?! Eventually I escaped as Michael had resorted to yelling “quick sh*t, quick sh*t!”. We had decided to run with our wetsuit up, but unzipped. It was only 6km to start with, after all. It was a much bigger race than the last one and the crowd bumped and jostled at the start. We took it slow and were soon winding up the hill in a line of competitors. Before long I could feel sweat pouring off my face. I checked my watch. We’d been going 13 minutes. I was also already towing Izzy hard. Hmm, I thought, not sure I could keep this up the whole way. I tried to be sensible, stay in line and not rush to close gaps on the flatter parts – they soon closed again as we hit the ups. We started to descend and I was still towing as we struggled to pass a mixed team who were definitely flagging more than us. After an arduous time where I felt we were silently battling each other, Izzy had a minor strop and unclipped herself. I was dubious, but in fact, without having to worry about the tow as well as her footing, she flew straight off down the hill. At the bottom she was full of fight and we leapt into the beautiful cool water of the lake. At the other side though, she got dizzy and fell backwards as we got out. We started the downhill run with her bumping into me. We were at a height of about 2600m. I tried to encourage and said we’d keep the tow on a gentle tug. This was all too much and before long I was hearing the words “I just don’t think I can do this today”. “Yes you can”, I replied. Not long after, in a moment of stress as people overtook on a narrow path, I tripped and fell hard. Before I had time to think, a fellow competitor had lifted me bodily from the ground! Blood was streaming from my hand and knee. I did my best to wash the grit out with some of our water but my goggles were also full of blood and they had to wait for later. We set off again hobbling. Long line of racers coming up the hill! Izzy’s glutes then cramped up and we had to stop to stretch them out. This was followed by a forlorn “I’m sorry, I know you really wanted to do well today..” I said: “Shut up and don’t worry about that, it is now about survival and finishing this race”. Our entire plan had to change, we had to set new goals. I have never had a DNF (‘did not finish’) and didn’t want one now. I didn’t say this at the time, but Izzy later admitted she hadn’t had one either and was thinking the same. I resisted panicking as we walked tiny rises so early in the race and carefully pondered what to say. 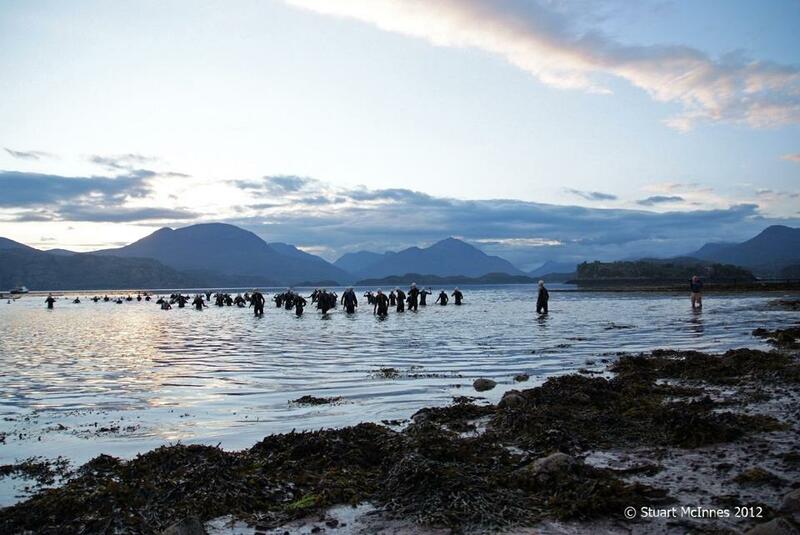 “Izzy, you’re a Scot, right?” “Yes” “Well, you’ve paid a lot of money to enter this race, and a proud Scot would definitely make sure they got their money’s worth” … bingo! Turns out this was true 🙂 . Izzy had felt like this race was a simple factual physical impossibility on this day. But I thought it was a mind game, and mind games you can always win. We carried on moving. 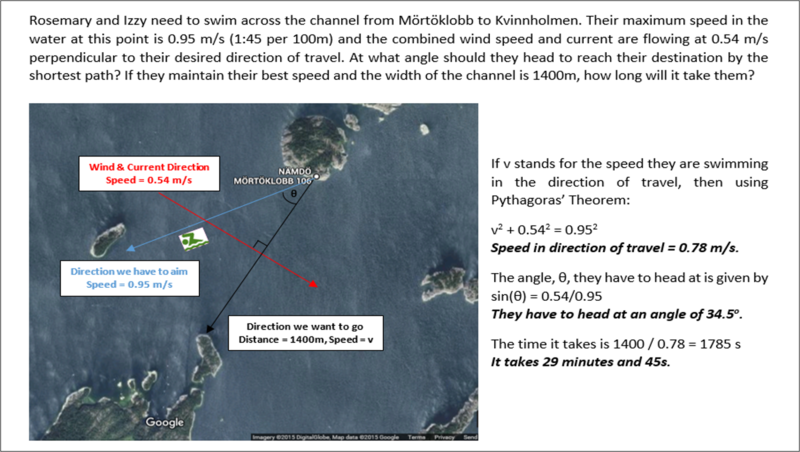 We had been going for less than 2h and got to the second swim behind schedule and in difficulty. The results later showed we were in 120th position out of 157 starters. The water was lovely, though Izzy said later that her arms felt dead. In all the noise and pre-race chatter about how cold the water would be, I had been oblivious to how hot the air temperature would be (despite a mention of it race briefing). 23 degrees C! OK, not hot by continental Europe standards. But hot by Scottish standards. I started to suffer a bit. I am not good in the heat, but am getting better at noticing the symptoms! 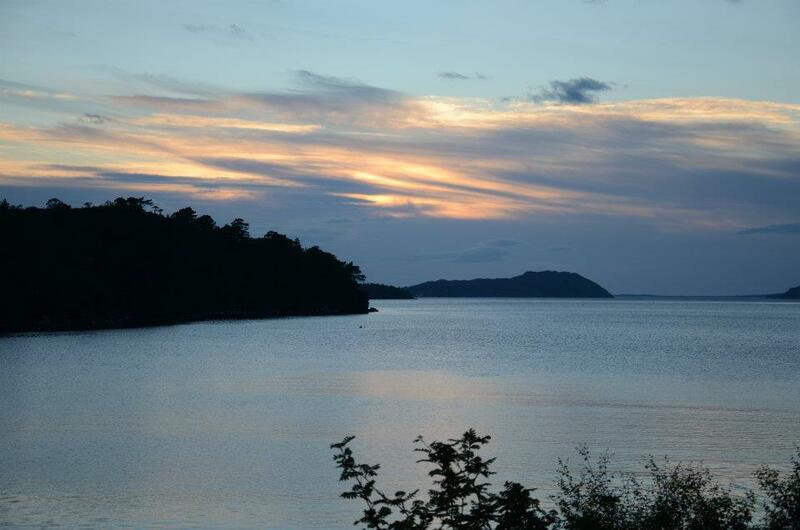 I started drinking, drinking – both from my bottle and from the lakes when they were clear and fresh smelling. Despite the hassle, we agreed we had to ‘cab down’ (the term used to mean taking the wetsuit off to the waist) on every run. 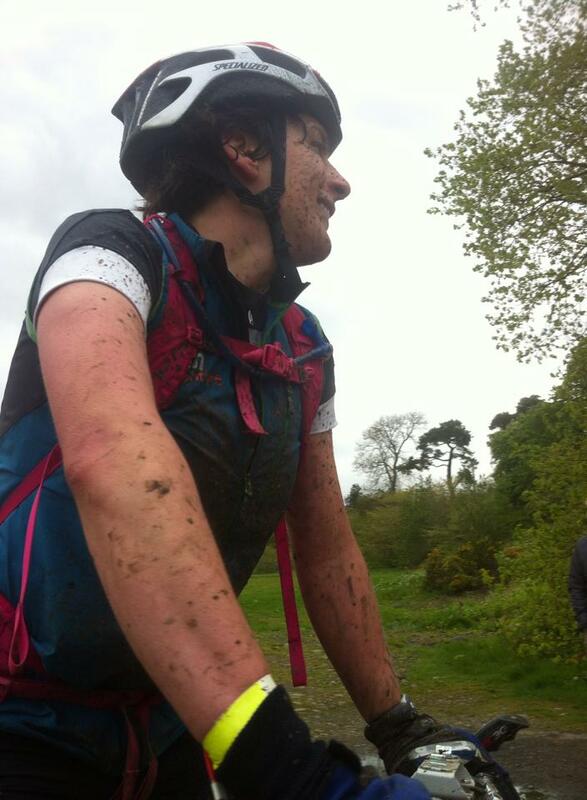 The wet race bib was bliss. It didn’t seem to dry very well, instead creating a constant cooling effect on our top half. Fortunately, the route dipped in and out of the woods and their delightful shade. I aimed for it at every opportunity, and doused my head from a pipe spilling out cold water on the hillside. Shall we borrow a horse? I was keeping an eye on my watch. I had memorised the route and had it broken down into sections in my head. I knew we were losing 5-10 minutes per section against plan, which itself only gave us 40 minutes to spare at the first cut off – which was way off at 13:45. I was worried and mentioned this briefly near the start but it had only caused despair, so I kept quiet until the final short swim and long run before the cut off. “OK Izzy, we have 97 minutes to do this section. And at current pace, it will likely take us 85-90 minutes. But the second cut off is also very tight, so any minutes to spare, we need”. I thought we could realistically do this now, we just had to keep moving in the same way. We set off walking up a very steep hill. We knew it was coming, which made it easier. I was towing firmly, but trying to keep exertion below the level which had nearly killed us off earlier. It was as if at altitude, you could go so hard, but no harder without it tipping you over an edge. Little swarms of flies kept appearing round our heads and we batted them away with our hand paddles. I knew we had to go up the valley alongside a river, then cross over and back down the other side for a flattish run in. Sooner than anticipated, I could see the course turning left. I promised we could walk to the river and that then I thought it was downhill and so maybe we could ‘jog-a-log’? Izzy had coined this phrase earlier and we now used it for any running part. Time to jog-a-log again? Thankfully I was right. Our mood was lifting and there was even some happy chitchat. The sound of cowbells drifted across a field and we imagined they were our rapturous supporters cheering us on. The sight of kite surfers on the lake near the cut off were welcome. Suddenly we were on the valley floor again, running in the sun. I looked at my watch and couldn’t believe it. 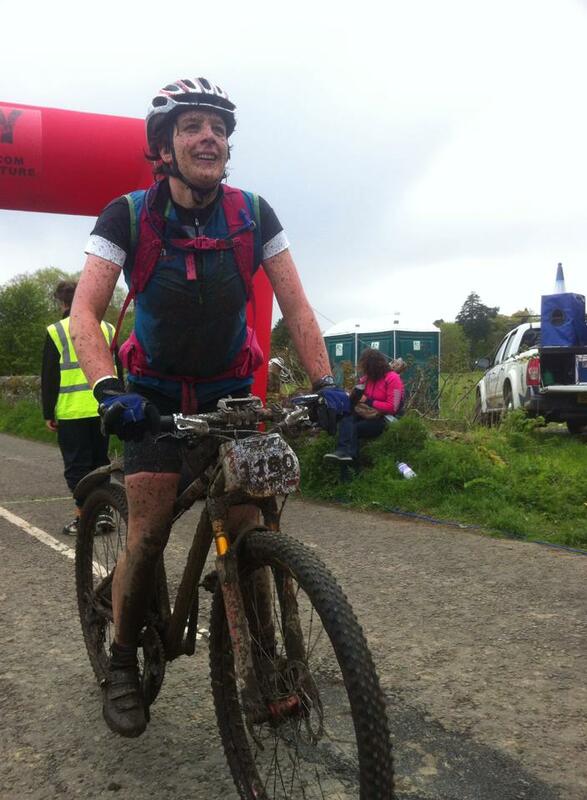 A shiver ran through me that normally only comes near the end of epic races. We were going to make it to the end. No doubt about that now. We got to transition with 35 minutes to spare. Not only had we made the cut off, but we had caught up on our schedule by a huge amount. What had happened? So now we faced a section we were more than confident about. We were also at ‘only’ 1800m and I think the effect was noticeable. 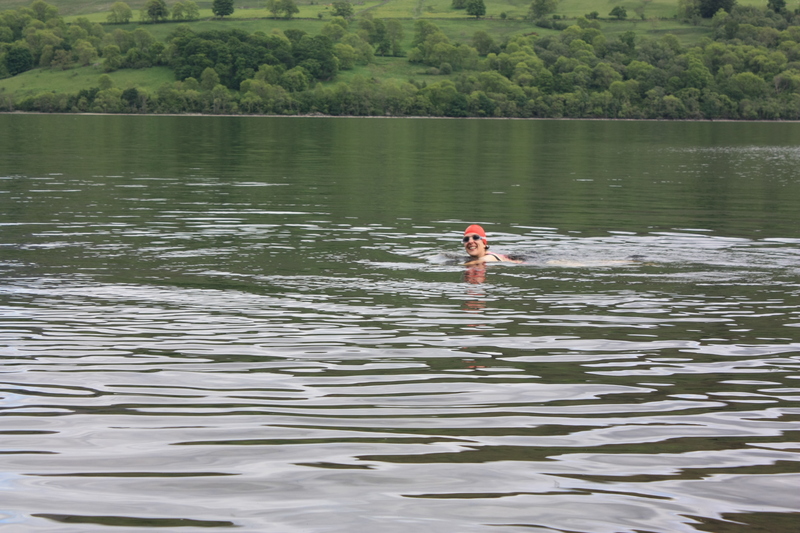 Michael said we had plenty of time, but we leapt straight in the water for the first of two long swims. Remarkably, we were overtaking a string of teams. I wasn’t entirely sure where to aim for, except ‘the end of the lake’. After I had passed everyone we were following, I headed for what looked like a female competitor taking ages to get out. It turned out to be a large orange buoy. Not an enormous lady. Big orange buoy. Definitely not a girl. As had been the case throughout the race, we passed a lot of teams at transition despite our occasional clumsiness managing the bibs and equipment as we cabbed up and down on the approach. 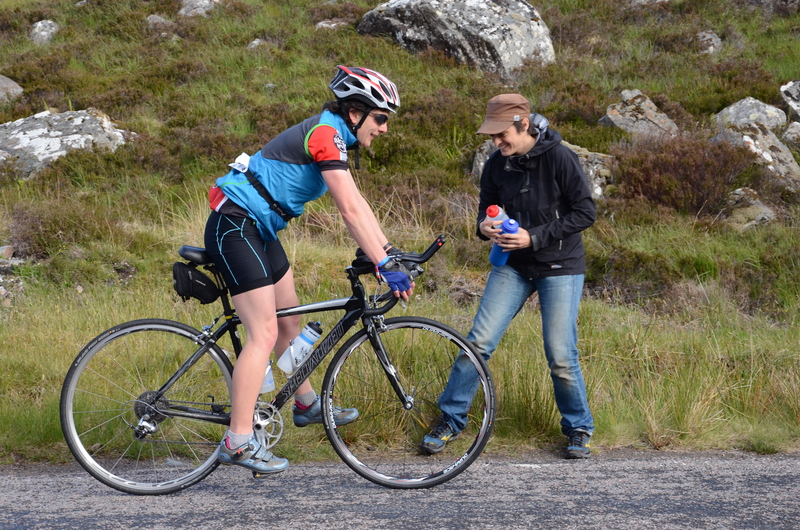 We were also quick at feed stations as we stopped only to drink, refill bottles and grab bits of bananas or a gel to eat on the move. Who wouldn’t want to run around here? We ran with a group of mixed pairs, then in for another long swim. They had vanished and we were now with some male pairs. A very short run, then we were at the final swim in a warm peaty lake, though I shivered getting in. Maybe my body was going into meltdown. It was short though and we were soon out the other side. 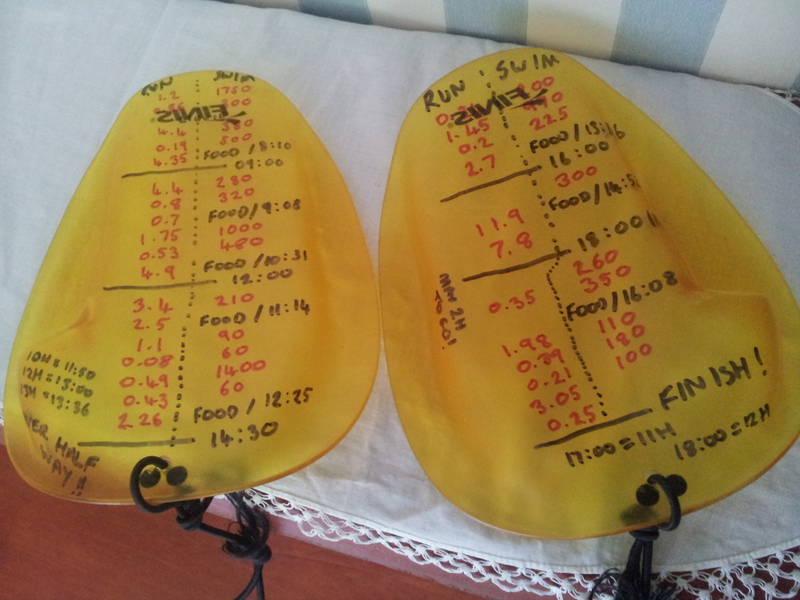 Just 8.3km run, 400m swim, 2.7km run to go. We were on my race plan times, even under them! 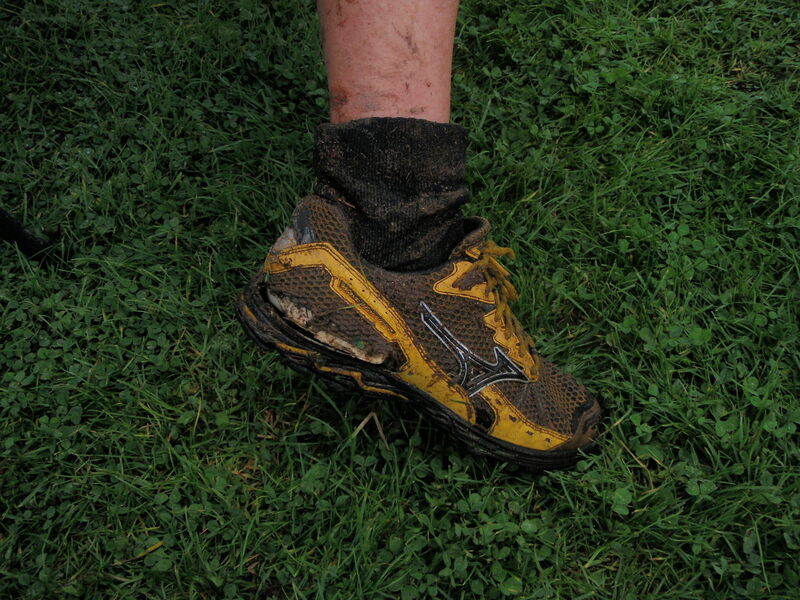 We adopted ‘ultra-running’ style. Walk every hill. 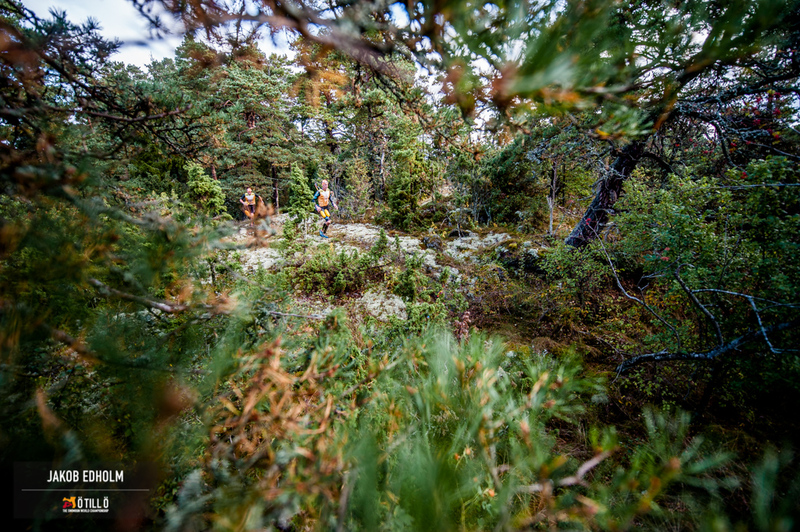 Run the flats and downhills. In this way we passed a few more male teams. My legs ached. My left knee hurt from the fall and my right from the downhill impacts. But I switched off my brain and kept the same pace. Just jog-a-log. I was still towing on and off, but much more moderately now, something I could sustain. We saw Michael again at the final cut off, we had loads of time to spare. “How are you doing?” He asked. “OK!”, we grinned. “In fact, so much better than we were before!” Kids on bikes kept riding past and shouting in French. A group of girls got to us twice and surrounded us on the path cheering more enthusiastically than anyone. Every encouragement gave us a little lift. We were confused seeing swimmers in the final lake, but only because I had got muddled up about where the last swim went. We suddenly saw a female pair in front. I reassured Izzy: “Do not stress, I will stick exactly to what we’ve been doing”. She did not want to get into a battle. 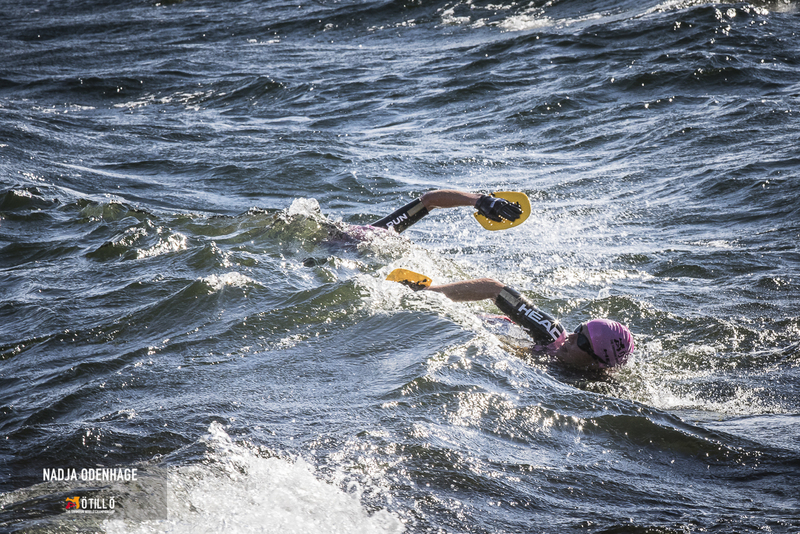 But we overtook on the swim and out the other side I was true to my word. We ran along the lake and walked up the smallest of inclines. At a bend I glanced over my shoulder but we were well clear. Final push to the finish. Now I was pulling hard again. Every muscle was screaming at me but I blanked out my mind. It was not that far. Round the corner, up a small hill, we ran this one, and into the finish arena. You can stop running now! We crossed the line and we were 4 mins ahead of original plan! Mats came to give us a hug, but Izzy sort of fell over in his arms and he took her to the shade of the tent. She lay curled up whilst I worried and gave her a pat. Relief and smiles when she sat up! We placed 4th females, 52nd overall. Results here. That meant we made up 68 positions from our lowest point in the race. We had been to a very difficult place and come back. Not only that, we found ourselves competing again. We had worked together and kept each other going. It is good to have these experiences, if only to know you can do it and come out the other side fighting. Never give up. The free cake and tea at the hotel stops at 17:00 and is not to be missed. More than a marathon of trail running (47.5km), more than the height of Ben Nevis in ascent (1500m), at altitude, in the heat. 6km of swimming, all beautiful, we’d have loved more! Finished, and both managing to sit up in the shade! 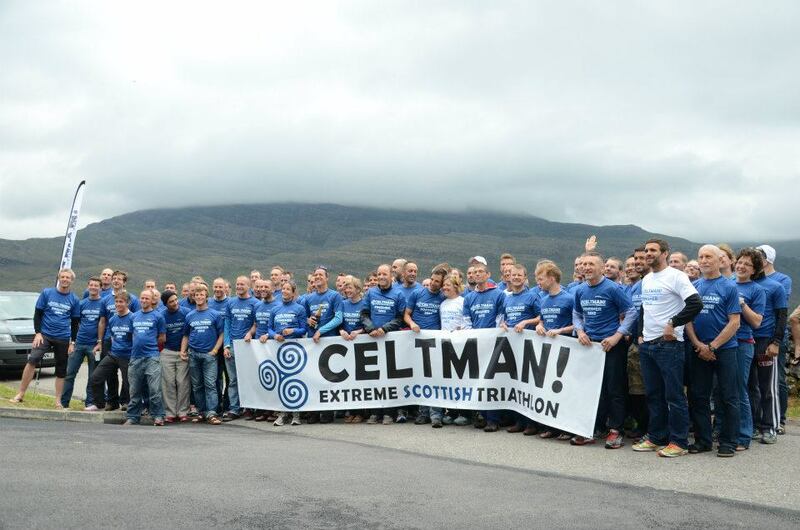 Thanks to everyone who has helped us – including Head / sportextreme for wetsuits, Gococo for socks and Icebug for shoes. To the organisers Michael and Mats for putting on such a crazy race. To the wonderful people at Conrad’s Mountain Lodge for feeding us early on race day and greeting us like long-lost friends every morning. Also special thanks to Helen, my massage therapist at Physis, who somehow put me back together after the last race and expertly avoids various scrapes, bruises and wetsuit rashes. What is happening in this town? Otillo Engadin! After months of training and anticipation the Celtman finally landed on Saturday. Although it actually felt like it started on Wednesday, when two of my supporters (mum and Andy) arrived and I had the stress of kit checking and packing. Kate turned up on Thursday looking remarkably bright, given she had left home at about 5am! 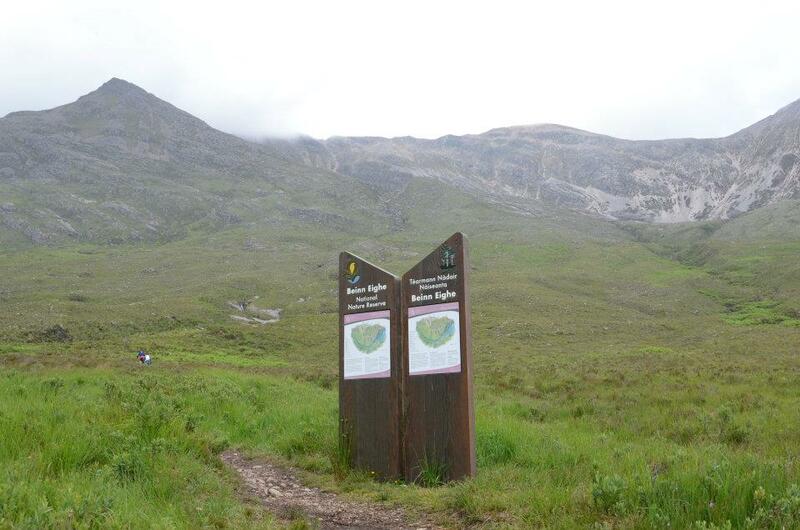 It was a long drive north, but we took the scenic route and got to Torridon just in time to register. There were lots of people I knew milling around, which was comforting. We headed back to the B&B which had awesome views of Loch Shieldaig and was very comfortably appointed. Andy decided to test the water temperature in his underpants and stayed in all of about 10 seconds. Not very encouraging! At breakfast on Friday we bumped into Izzy, who was staying the night before moving to a cottage with some other people form the club. Upstairs from us there was a French family – the dad Eric was also racing. We had booked a dinner from our obliging hosts and when we wandered in we found yet more people we knew doing the race already happily munching! 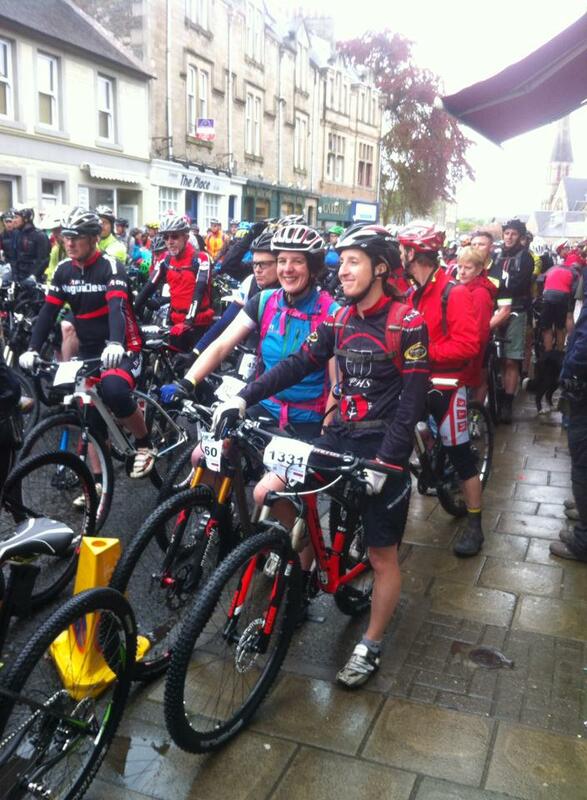 I wonder whether there was anyone staying in the villages who wasn’t a Celtman racer or supporter that weekend?! More kit checking and logistics back at the B&B and by then it was all getting a bit much. I was glad to get into bed, but I felt bloated and like I had eaten too much. During the night I imagined my feet were hurting, my head was thumping and I was coming down with a dreadful lurgy. At 3am the alarm went off and I leapt up. Somehow I got my contact lenses in and ate some muesli before venturing out to sign on, rack the bike and get on the coaches to the start. I sat next to a friendly Norwegian who mused about how bad the ‘midgets’ were and how cold the water might be. There was a long wait at the beach but it passed quickly, chatting to people I knew and being interviewed by the Adventure Show crew. By the time I got to the water it was minutes from the start time and I hardly made the line before the klaxon went off! The swim was shortened to about 3.2km due to the cold, so we struck straight out for the other side. First shock of the day – the sea was full of jellyfish! I have a bit of a thing about jellyfish, and squealed a few times when I hit one with my feet or they floated up near my face. As usual I started at the back, and spent the whole time moving up the field. Every time I tried to draft someone I would overtake, be drafted for a bit, then move on to the next person. That is, when I wasn’t veering wide to get a nice clear view of where I was going! My day-long tummy problems started halfway over when that muesli nearly came back up – and every time I swallowed a mouthful of salty water I nearly gagged. Still, it was a race so I kept going. I was 22nd out of the swim, which was pretty good. After the transition my supporters went to relax over some brekkie for a bit, whilst I set about cycling 202km. I felt really nauseous for at least 20 minutes and was convinced this had never happened to me before. Then I remembered it has happened at least twice before on a swim to bike transition! After a while I settled down, probably too much, as I covered the first 60km at 30km/h. By this point I was running low on fluids and desperate for my support crew to arrive. When they did I was so relieved! This gave me a temporary boost, until I started getting terrible stomach cramps. I also really needed to pee, and had to stop. This pattern continued for the next 5 hours! The cramps were like nothing I’ve experienced before – I was doubled over whilst still trying to pedal and I still have sore tummy muscles 3 days later! Still, I got into a more sustainable pace and really enjoyed the longer climbs and descents in the second half of the course. I was also lucky to be playing leapfrog with Izzy as it kept me motivated and meant I had her supporters cheering as well as mine :-). At T2 it was chaos. People were shouting, a car reversed into our boot lid which was up in the air, I chucked a sock onto a burning midge candle in the back of the car and midges landed in their hordes! I was glad to get away, and even more glad of the portaloo. That job done and standing upright again at last and my stomach felt a hundred times better. I set off running up the hill, swigging a Frijj and with Andy on his mountain bike. It was great to have company and someone to natter to again 😀 . The scenery was lovely, and I cheered Izzy on as she passed on the downhill, thinking that was the last I would see her. The last 5km along a tarmac section was tough going, and when I arrived at T2A I was very glad to switch to walking. The first section had been 18km, which is about the furthest I’ve run in one go in recent times – and that’s only been in adventure races! Now Kate joined me and we set up off the hill, me with my walking poles and a new companion to chat to. It was fun hearing tales of the supporters’ day in the car and some of their crazy overtaking and reversing antics! Kate asked me if I was eating and my answer must have sounded highly unconvincing as from then on she kept taking food off me and giving it back to me in bite size morsels at regular intervals – often directly into my mouth, so I had no excuse! We passed the people from the Adventure Show again and I did another interview, this time on the move. I tried to think of something intelligent to say, other than ‘it’s amazing, fantastic’! Kate said I was too articulate to be working hard enough and kept the pace up afterwards! It was just after this we passed Izzy again. I was surprised, but I think ups are my forte, and maybe my adventure racing experience was good for me here. The tops and the ridge were covered in dense fog. As I kept telling anyone who would listen, Kate is a top mountain marathoner, and knows what she’s doing when it comes to mountains and route finding! We negotiated the elusive sheeptrack to cut a little uphill corner, got straight to the peak, down the scree and across the boulder fields. At this point we had a little trail of people following us; I think we all knew we were onto a good thing! It was also fun to have new company and it spurred me on to keep the pace up a little bit. When I checked the gps it was 17km to go. My heart fell that it was so far – but then I thought about the fact that was still less than the first leg, and I felt better. As the road neared we could hear cheering and it was very exciting. Andy was there with a group of others, who had apparently been hanging around for hours! I threw my bag to him as I didn’t need to carry it any more, but ignored him yelling at me to give up my poles as well. 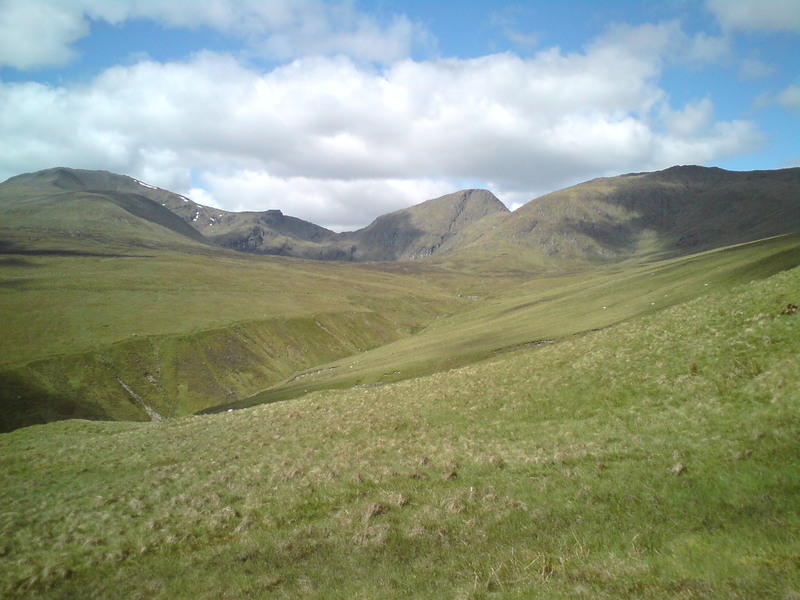 I can be Nordic and ‘European’ as Kate put it … we set off plodding and the endless view down the road depressed me. Then Andy reappeared and said Izzy was just 4 minutes behind. This had a magic effect on me as I’ll always put up a fight at the end of a race :-). Kate ran in front of me so I could draft in the headwind, whilst I shouted things like “Faster! No, not that fast! You’re dropping me! Now, faster again!” I also whacked her with my poles as I drifted off my line (I was tired) and kicked her heels with my toes when the pace wasn’t quite right. 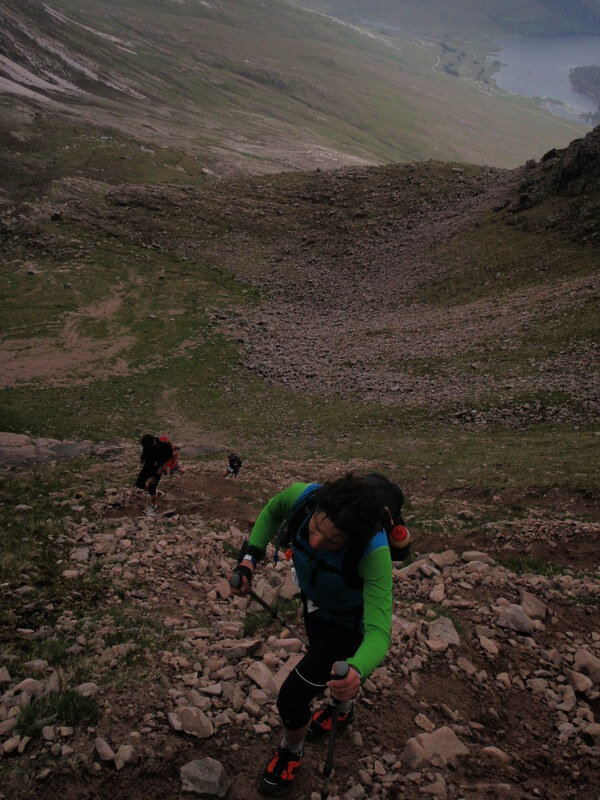 She endured all this without a word of complaint as we blasted back into Torridon. Eric at breakfast the next day was very proud of his 40 minute final run, until I told him I had done it in 36! Mind you, he did finish 1h40m ahead of me :D.
Amazingly, I think I finished 52nd on the run, compared to 60th on the bike, which just goes to show maybe I’m not so bad at running any more, at least, when it involves mountains and comes at the end of a very long day ;-). 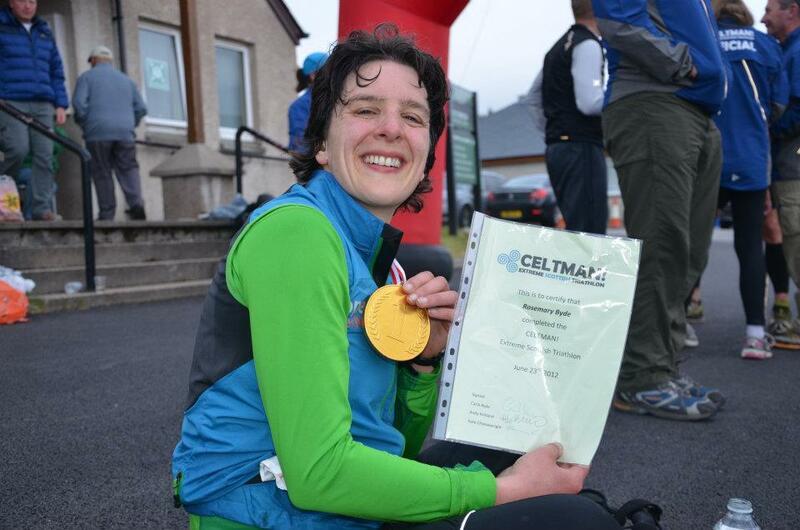 Overall, I was 2nd female (54th overall out of 128 starters) and finished in 16 hours and 23 seconds. I was over the moon, as this was way beyond my expectations going into the race. 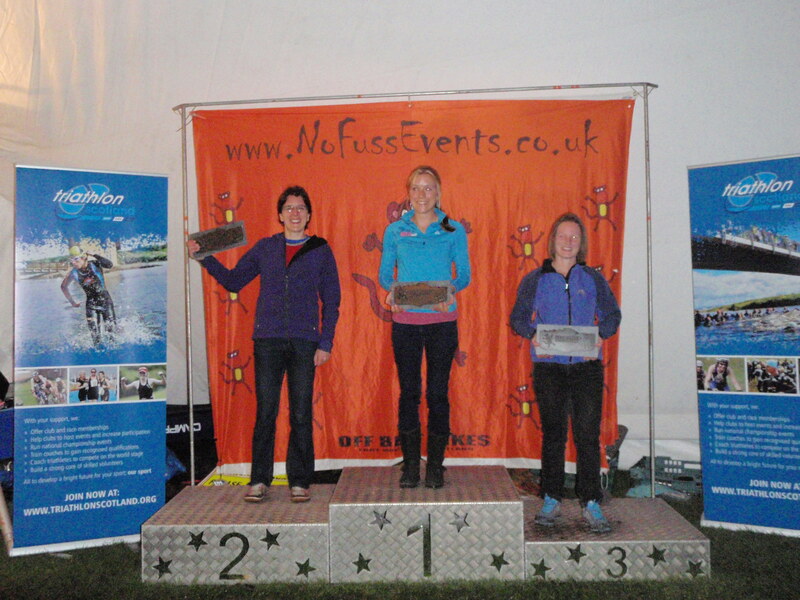 Izzy was 3rd female, and it was great to have another clubmate in the top 3. I think we probably spurred each other on. Elizabeth was the last person to make the high mountain cut off (with a minute to spare), but stormed over the hill overtaking more than 20 people! All nine girls finished and it was great to all get a mention and applause at the ceremony on Sunday. Full results. 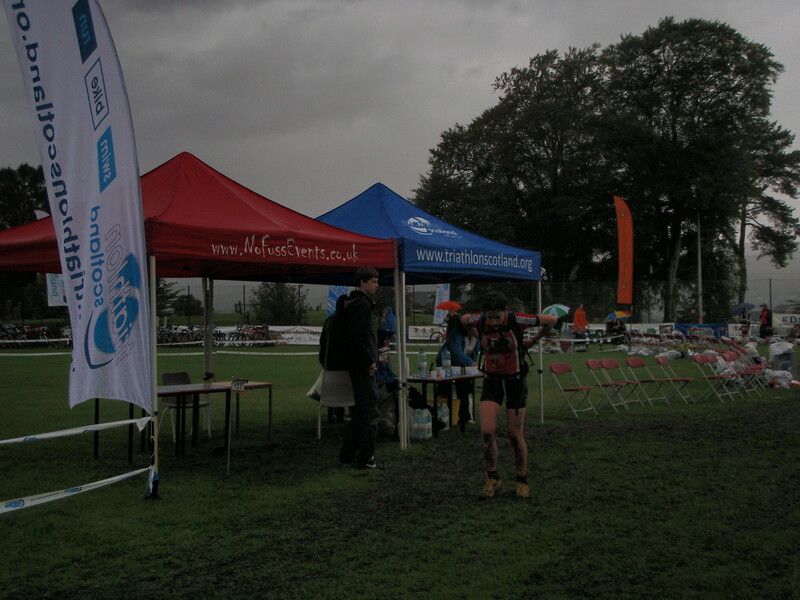 The overall winners were Alex Glasgow (12:09:48) and Susanne Buckenlei (13:55:33 – what a machine!). I can’t thank my supporters enough. For what they put up with on a very long day, with all their driving, pandering to my every need (I don’t get this sort of pampering on an adventure race), accompanying me on various legs and cheering loudly! My mum presented me with a gold chocolate medal and a signed certificate, which was a lovely touch. Also to my coach for getting me through the training and everyone who was there from ERC, racing and supporting, plus various other people I have only met in the last few weeks who were so friendly and welcoming. 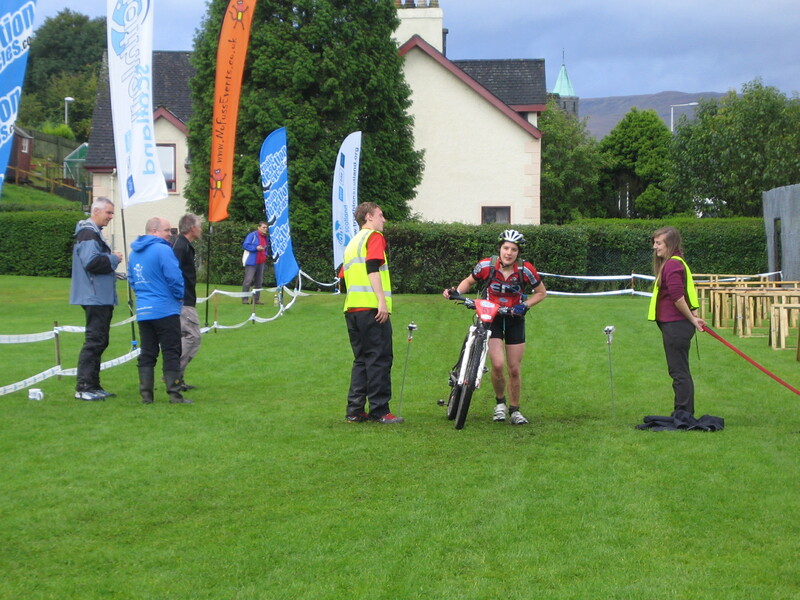 Lastly to the organisers, including Stuart McInnes and Paul McGreal, for putting on a great race! Epilogue: After driving hundreds of kilometres over the weekend, the car broke down 3km from home. My mum was driving, we called out the AA on Kate’s policy, it was my mate’s car … but he was in Croatia. Andy said it was nothing to do with him. The AA man took all this in his stride and told us we needed to find the towing eye somewhere under the mountain of luggage in the boot. Amazingly, we succeeded. 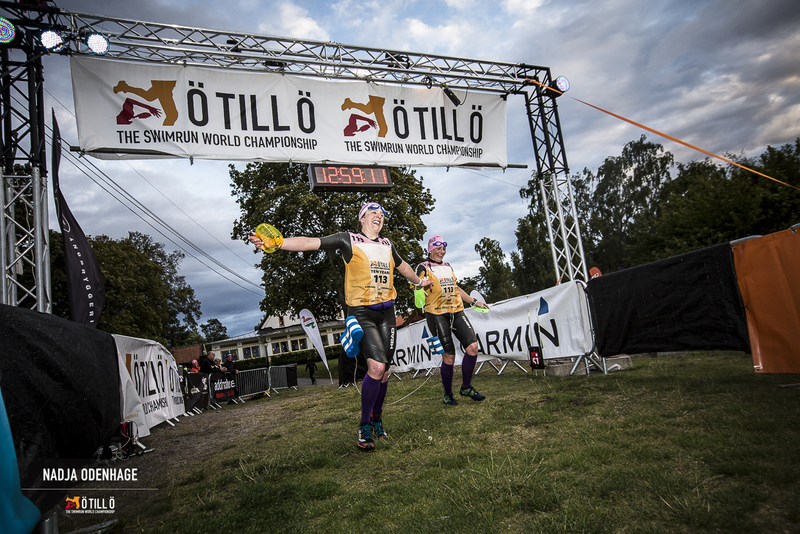 But as I sat up front in the big yellow van, and Kate steered the Doblo behind, she realised that yet again she was finishing a race being towed around like a medium dog …..
My mum decided that if there was one race I needed support at this year, it was this one. I think she was right! After following a rigorous training plan (ahem), I was all set to go on my last big race of the summer. It all started at the sort of time in the morning that no-one should be awake. Unbelievably, the nice lady at the B&B seemed to think nothing of getting up to give us breakfast at 5.45am! I ate my muesli and toast unenthusiastically and then headed down to the main transition areas to set up my kit. 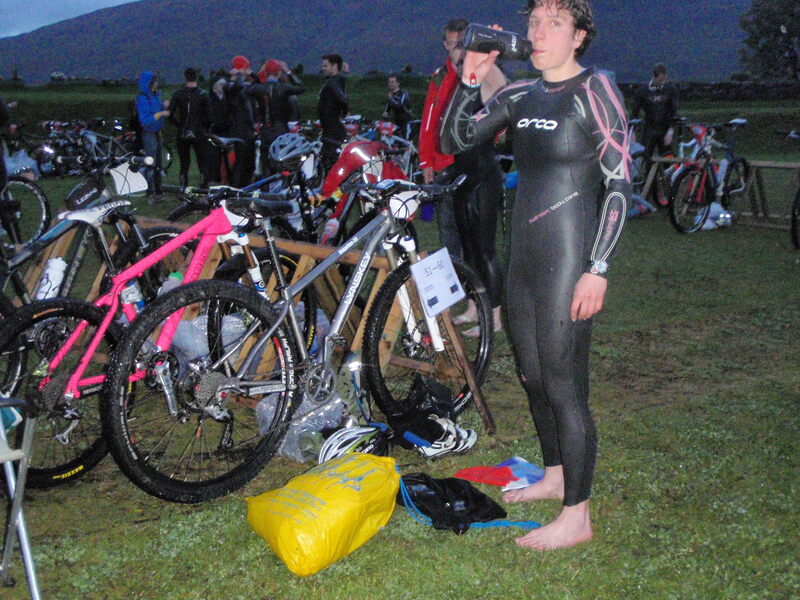 By 6.45 I had my wetsuit on and was as ready to go as I ever would be, but it still wasn’t really light and we weren’t allowed in the water yet. 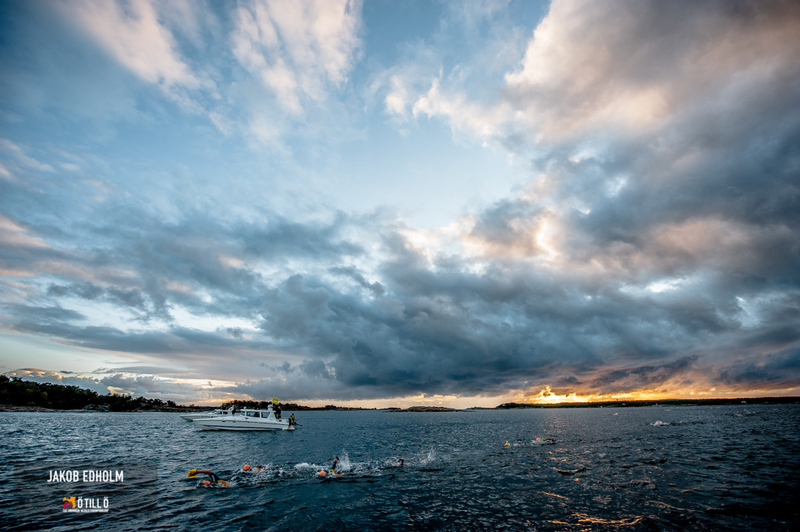 I had written off the swim as unimportant in the grand scheme of things; if it was only going to be half an hour, and the rest took about 9.5 hours, then it wouldn’t really matter, right? In the end, I was proved wrong and I am very glad that I took it seriously and put a bit of effort in. After my recent dip in Threipmuir Reservoir last week, I found the water to be ‘quite warm’ and ‘lovely and clear’ ;-). I didn’t do too badly at following other people’s feet for a while and I even struck a lead out through the mass of half-distance competitors who set off just as we rounded the buoy for our second lap. I bridged the gap to the front swimmers up ahead then got out of the water in 9th, with just one other girl already in transition. This started off up a long road climb. Easy enough. Then we branched off onto a deceptive track that looked easier than it felt – some people were already walking, and the fine, sandy sort of surface mixed with little rocks took effort to ride over. However, it was all rewarded with a swoopy fast and fun downhill trail :D. What comes down must go up, and this was followed by a seemingly endless undulating fireroad climb. It was here on the first lap that the eventual female winner, Hannah Barnes, overtook me. I tried to keep up for a while which was an interesting lesson – we were the same speed up the hills but she kept getting away on the downs because she carried on pedalling – isn’t that cheating?! 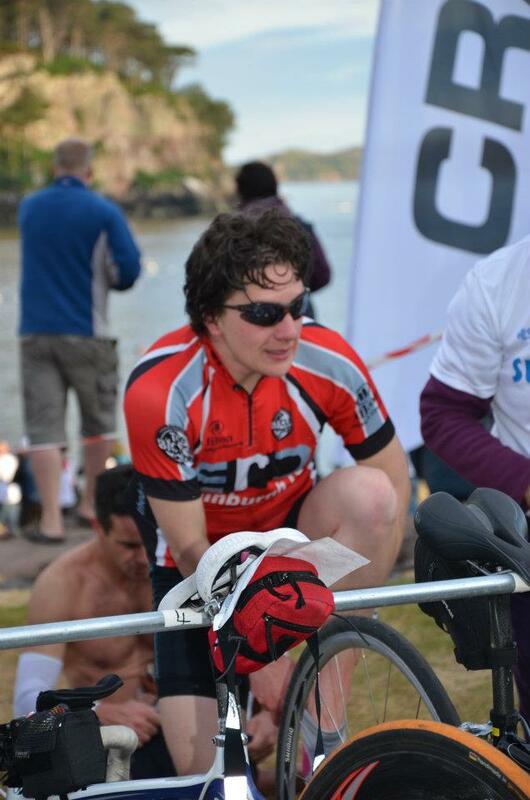 I felt rather queasy – I think this is an effect of swimming then biking. Or maybe swimming in a wetsuit and then biking. In any case, I couldn’t eat anything until after a short technical section of trail down through some mushroom woods to a road. A banana was scoffed as I spun my legs out down to the start of lap 2. It was unfortunate that by this point I already felt really tired, because I wasn’t even halfway! The other laps passed fairly uneventfully, except for a tumble on the technical section and noisy brakes. I kept the speed up and played yo-yo with three other racers. Ben Nevis loomed ominously above, mostly shrouded in swirling clouds. I tried not to think about it too much. As well as taking photos and cheering me on, my mum was letting me know where the other girls were. My main aim for this race was to get under 10 hours, but if I could get on the podium as well it would be a bonus. 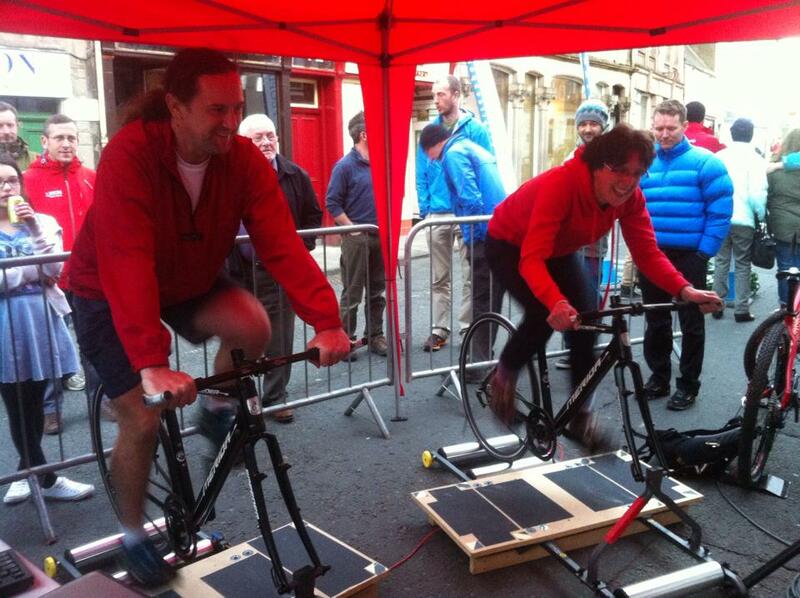 I finished the bike still in 2nd place, but Marie was hot on my heels, maintaining the gap at only about 12 minutes. I was scared of the run, but tried to tell myself I wasn’t too bad on the ups, just the downs, and maybe I could hold it together. I had been warned that the run was more of a walk than a run, so I set off rather nervously. I managed to keep some sort of jog going to perhaps a third of the way up, when the gradient got too steep and I got too tired. 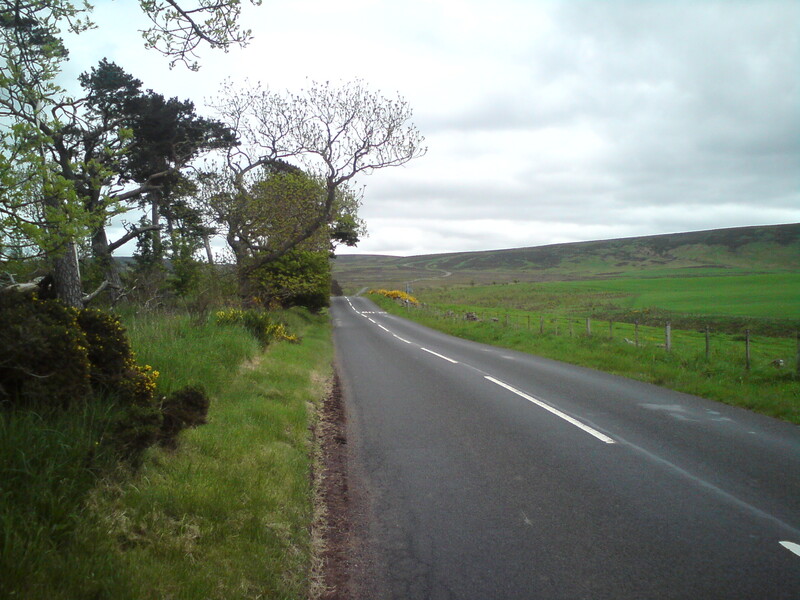 One of the half-distance guys passed and cheerfully told me it was still ‘miles and miles’ to go, but to ‘keep going anyway!’ – no deceiving ‘nearly there’ platitudes :-). I’m not sure it was wise to push on so hard as I felt rather spaced out approaching mid-way and the start of the scree slope. I’m grateful to Matt, another competitor who had caught me up and kept me company for some time before pulling away to the summit. I was getting colder and colder and with the advice of a friend ringing in my ears, I finally stopped to don my waterproof, woolly hat and thick gloves. Eventually I made it to the top, though I somehow missed the path and veered rather close to some very steep cliffs, which alarmed the marshals! Then the sun came out, I glimpsed some amazing views and it was back to running. Just 6 minutes after I left the top, Marie passed me going the other way, so I knew I didn’t have much of a gap and was just as brave as I could be on the descent. I started feeling stones prodding the soles of my feet, which I thought was weird until closer inspection showed that my shoe had fallen apart! I kept pushing on, taking the shortcuts, and trying to dodge the hordes of charity walkers spread across the path. Just as I emerged onto the road at the bottom Marie caught me up! I grabbed a cup of water (I had run out of drink), and set off after her. She was suffering a bit from cramp and I felt sorry for her, but I couldn’t give up after all this time! I dug deep and ‘sprinted’ onwards for the last 3km, opening a small gap. This last effort totally finished me off and I collapsed over the finish line making some very strange noises. This ranks up there as one of the hardest races I’ve ever done. 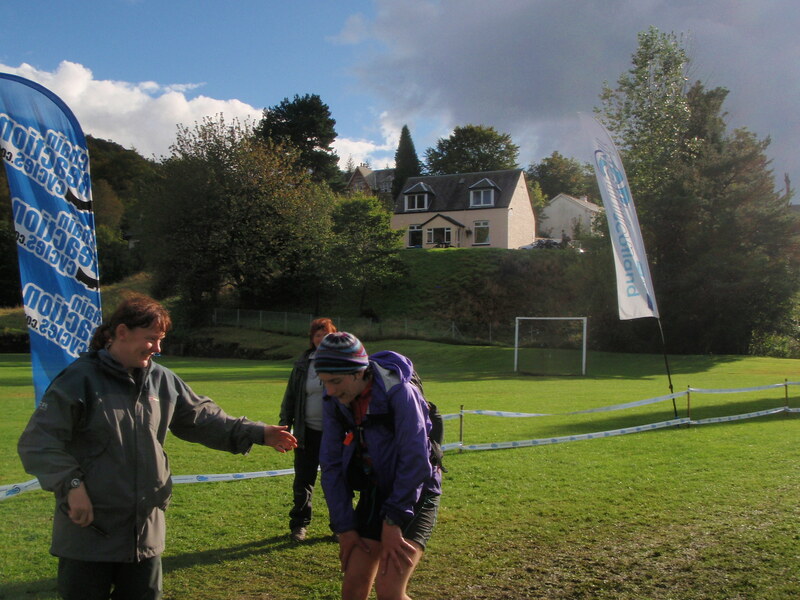 It was also one of the friendliest – when else would the leader high five you on their way past back to the finish?! 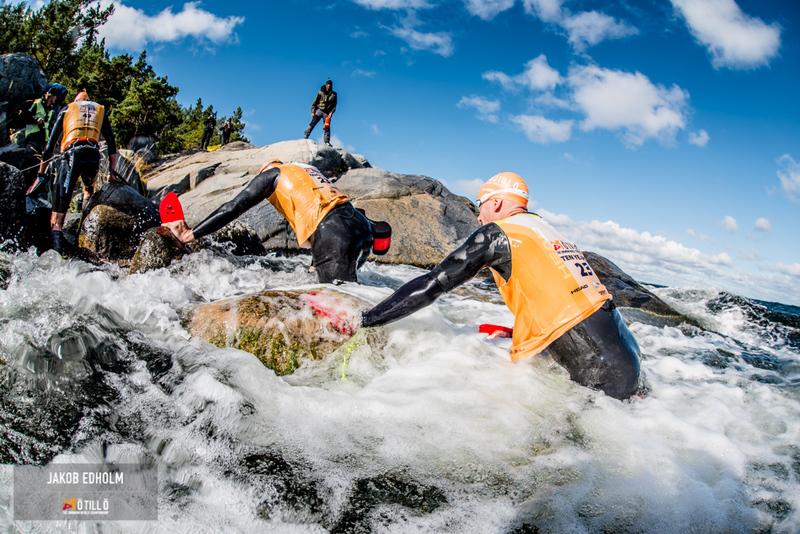 If you want a challenge to test you to your limits I would highly recommend this race. If you can get someone to give you moral support and drive your aching body home, all the better! Decorative slate plaques all round!